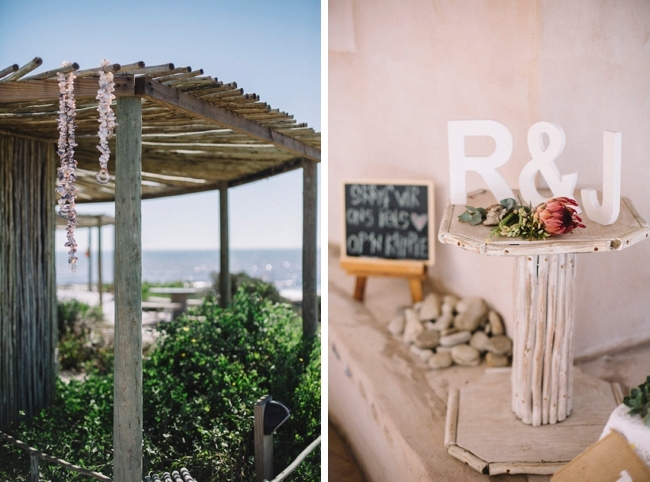 Considering how amazing our beaches are in South Africa, we get relatively few beach weddings submitted to SBB so I’m always thrilled to see a lovely one, especially when it’s a down to earth, toes in the sand West Coast affair like Jaynie & Rudi’s was. 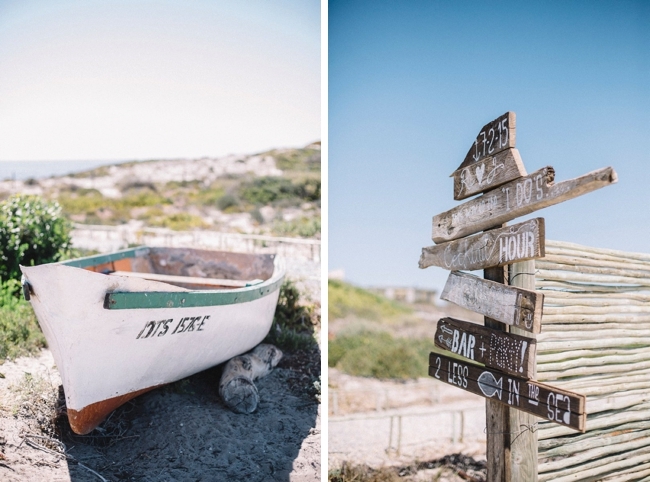 This wedding goes beyond in the DIY category thanks to a super creative bride and her family – even the wedding dress was a labour of love. 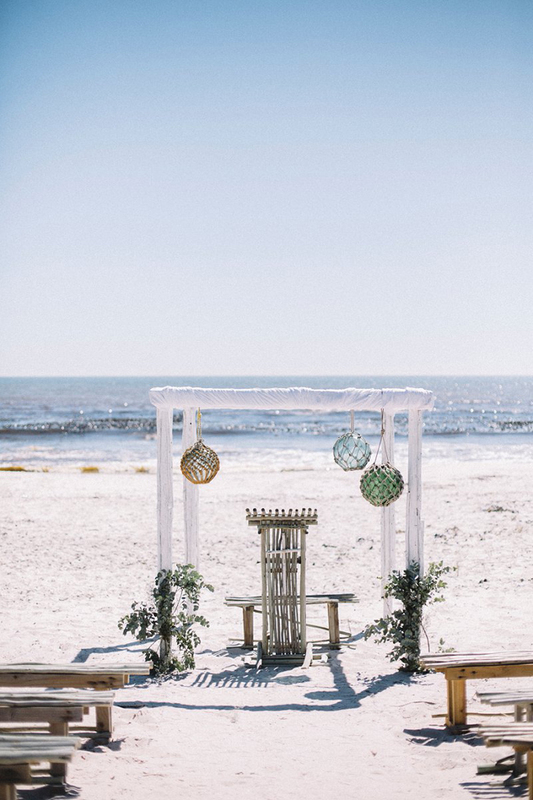 All that time spent creating something special and meaningful makes this aspect go far beyond the wedding day, because you also get memories that last a lifetime, long after the fabric has faded and the flowers have died. And that’s really what this wedding business is about isn’t it? The love, first and foremost. 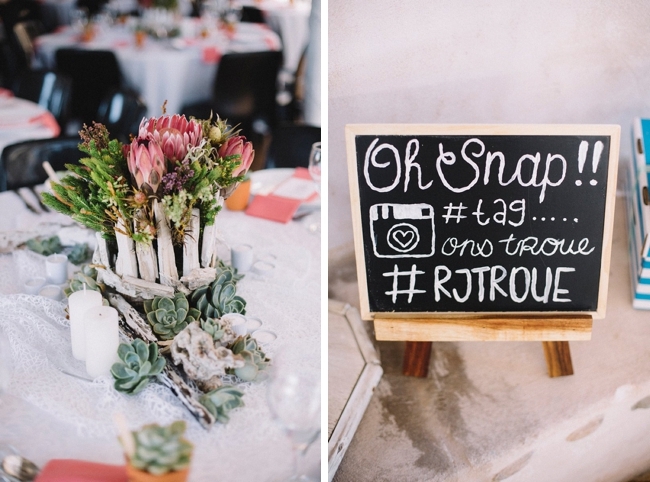 Ronel Kruger was on the scene to capture these lovely pics of Jaynie and Rudi’s big day. We met at a mutual friend’s house party. It was one week before school started and he was on his way to varsity. I was 18 and about to start my matric year and not looking for love, but after we got to know each other that night I knew I was going to love him forever :-) He was exactly what I was not looking for, a total opposite of myself, but a complete breath of fresh air! He took six months to ask me out.. six months after that I also moved to Bloemfontein and started varsity. 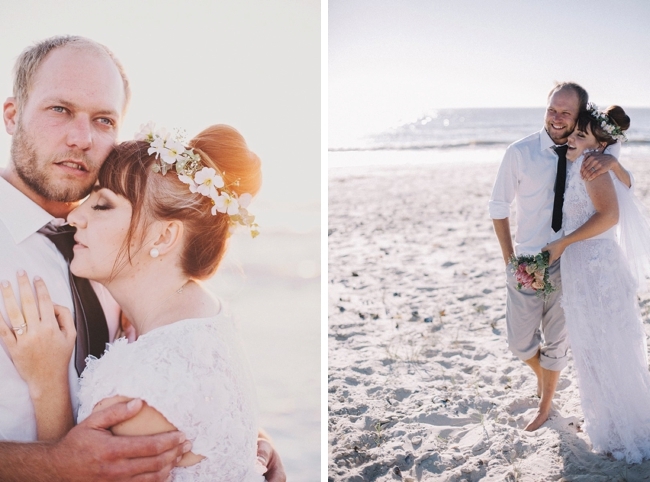 A year later, he moved to Cape Town and we dated long distance for more than four years. It was a long and hard couple of years but it made our relationship rock solid. After I finished my studies and a couple of internships, I finally moved to join him in the most beautiful place, Cape Town. He took me to his favorite place on earth, a secluded sea farm about three hours from our home. 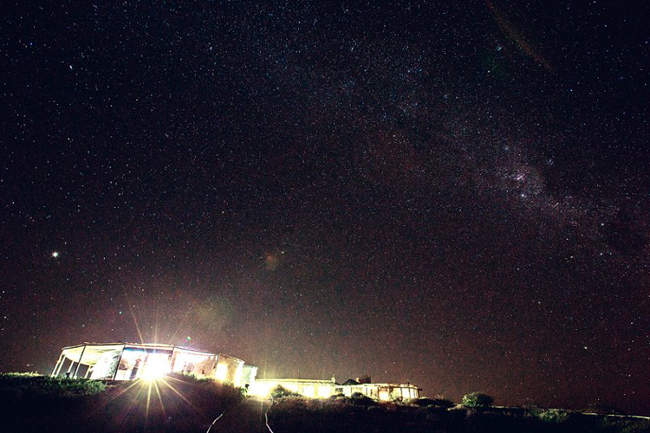 There is no signal and it’s super simplistic and amazingly beautiful! He woke me very early to go fishing before sunrise (the non-morning person in me totally fought against it). It was hard but I woke and went along still half asleep… we walked for ages on the most beautiful unspoiled beach stretching for what felt like forever. I stopped to rest and sat on a huge piece of driftwood. 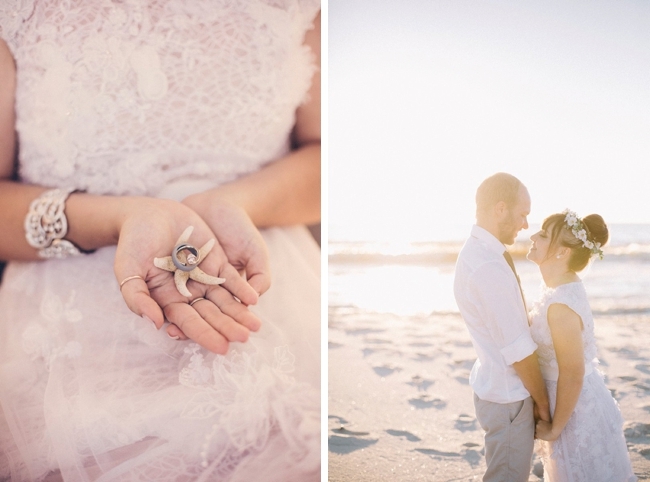 He took the chance and got on one knee… It was only the two of us in nature, the powerful sound of waves breaking and the sun peeking out from the horizon. It felt like we were the only two people existing and the moment was perfect! 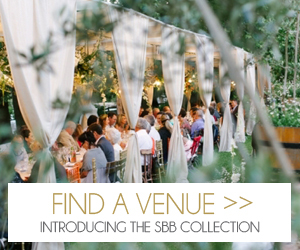 We were in no rush and took our time hunting venues. I had a soft spot for the West Coast since we had spent some time there the year before. 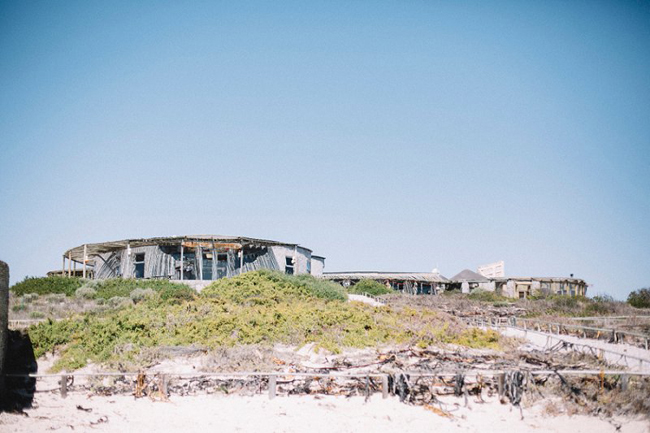 We wanted something on the beach and close to nature as well as a venue that allowed us to party straight through without a cut-off time, and Grootvlei was everything and more! Rudi is a bit of a cave man and that is why I love him. He basically told me to go ahead and he will just pitch up on the day! So I knew we wanted to have fun, above all, and have a huge celebration of love. I LOVE DIY and it was important to me to do as many things possible ourselves and also add that unique touch to the day. We had a subtle theme that came through: “Two less fish in the sea” (Rudi and I enjoy fishing together and that was our way to incorporate it in to the day), and that was complemented by shades of coral and mint and a touch of black. 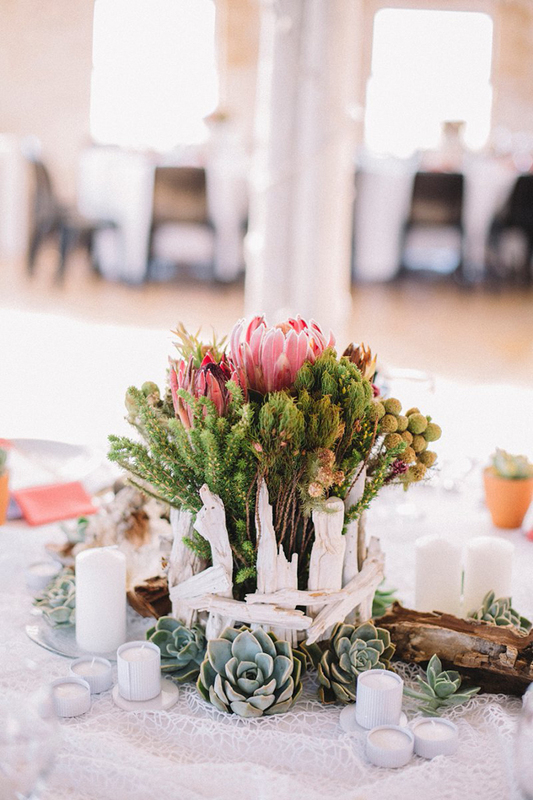 Succulents and proteas were part of the décor and the venue itself was so rustic and amazing that there was no need for a lot of it. I wanted a lot of attention to detail but also simplicity. I wanted our personalities to come through in the theme and tried to make it both natural and whimsical, with some fun elements. We wanted to give our guests a useful gift. So we decided to combine name placements with wedding favours. 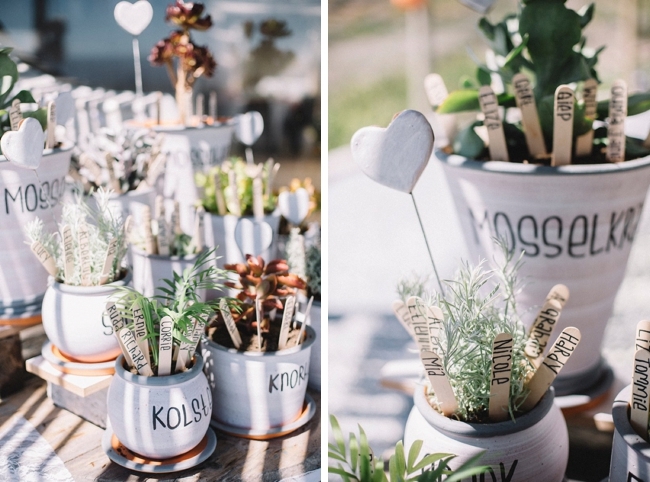 Every guest received a small pottery pot with a succulent in it and their name on it. 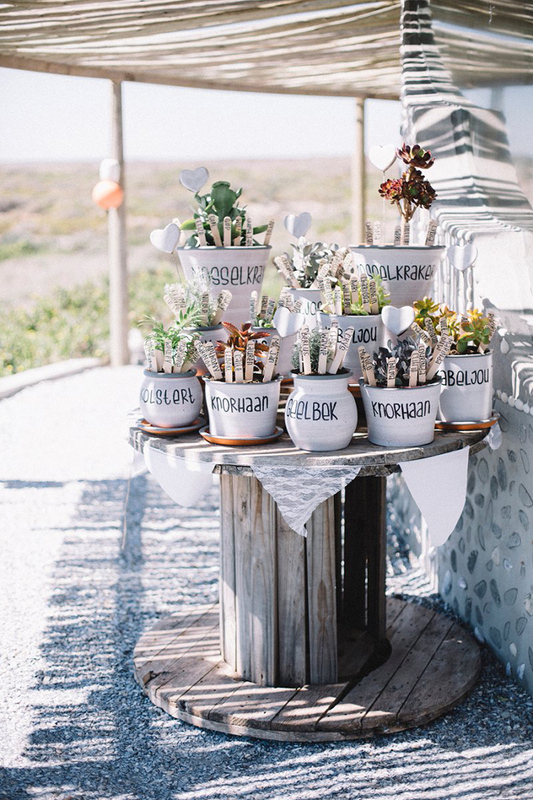 My aunt, who has a pottery factory, made all the little pots, my mom started planting succulents the moment we got engaged and my cousin helped me to write all the guests’ names in a unique font. They were a hit! I was also in love with our wedding cake. Both our aunts make amazing cakes, so we asked them to do a combo. The big one had two fishes kissing and each guest got their own tiny wedding cake with tiny fondant succulents and cacti. 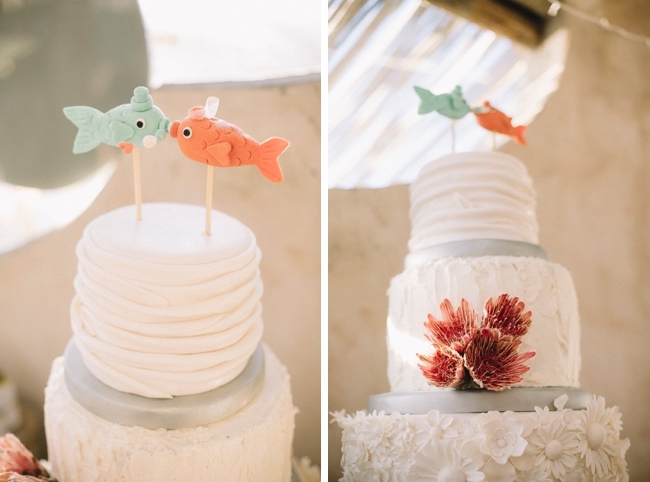 At the ceremony, each couple also received mint and coral cookies in the form of fish, saying “Two less fish in the sea”. The ice cream bar was also amazing and really brought everyone together and added a fun element, along with the mobile photo booth that my MOH gave us as a wedding gift. Everyone had such a blast in the booth – it was never empty. Did someone say DIY? That was one of the most important factors to me of the day. I come from a very creative family and attention to detail is very important to me. It was also a big thing for me to be able to bring everyone closer together by helping each other to try and do as much as we could ourselves. I made all the wedding stationery from invites to menus. Our programs doubled as fans and to help with the sun. My mom made little bags that we filled with biltong and droewors for canapés (they have a butchery). We mixed all the cocktails ourselves and had them in vintage jugs and beer on tap for the guys. My cousin did all the calligraphy and made sure everything went smoothly on the actual day. Our two aunts made the most unique wedding cakes from scratch! My mom was amazing, she jumped in and there is no wedding planner that could do a better job. She made the table runners and table décor, metres and metres of bunting. 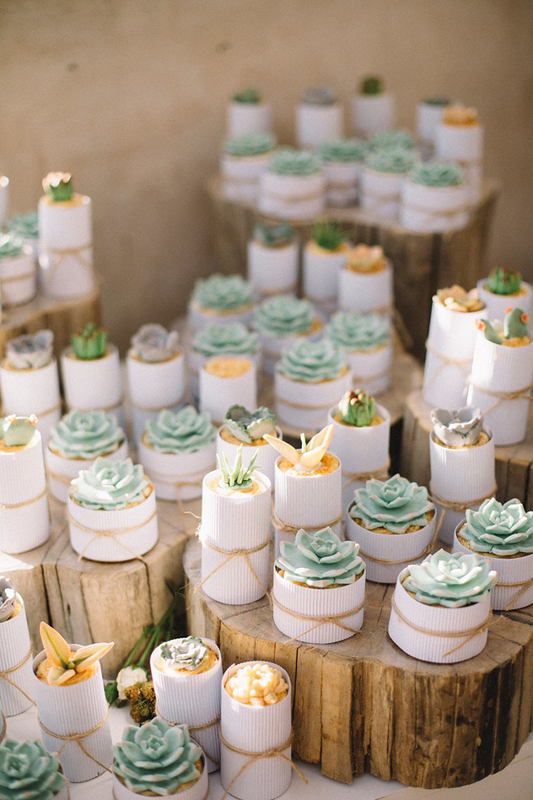 Planted all the succulents used as décor and she and her friend made an amazing ice cream bar with all the toppings you can imagine. I said what I wanted and she was on it! My dad also did sooo much. He made little boats from driftwood with lace sails. 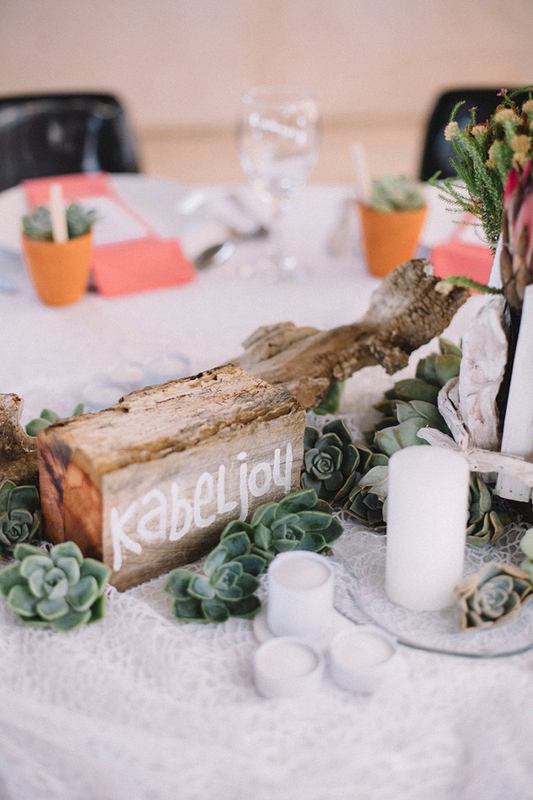 He cut beautiful wood slices to form part of the décor and cake stand and planted each and every guest’s plant into their own pot. The ultimate DIY for me of course (being a designer) was to make my wedding dress and my two bridesmaids dresses. My mom also made her dress and the flower girls’ outfits. I knew what I wanted and I always knew I was going to make it. Just like my mom made her own on her wedding day 30 odd years ago and her grandmother made her mom’s gown. I wanted to keep it in the family, but also knew my style and taste. The most important part to me was to feel super comfortable and beautiful at the same time. I wanted my dress to be able to transform from a long wedding dress to a comfy party dress for the reception, but still be one dress. 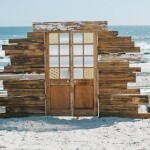 It had to be beach friendly and also reflect my personality, be casual enough but still make a statement. 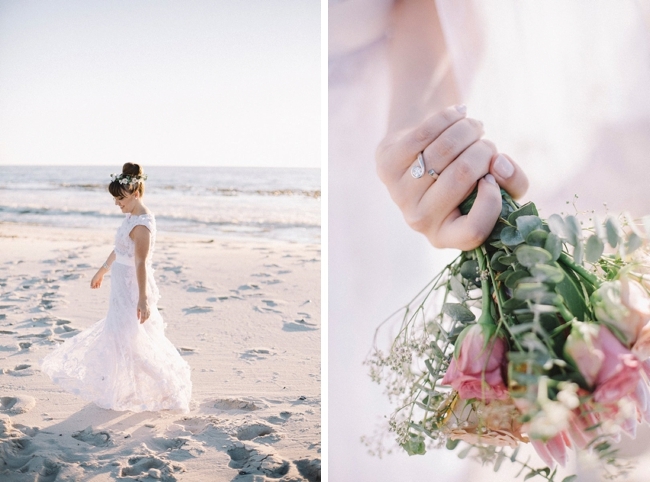 I believe your wedding dress is one of the key pieces that tells your story, who you really are, what makes you beautiful. I wanted it to be sheer and to be made from exquisite lace. The hardest part was finding the material… Of course I had my heart set on lace that is not available in South Africa, so I had to create the lace myself. I went all the way to the Free State to my parents’ house for a week, so my mom and I could make my dress together. We made the bridesmaids’ dresses in three days and mine in four. It was so special to me being able to work on it with my mother. That’s a moment I will cherish forever. On the day, I had the great privilege of wearing the same flower crown that my mom made and wore 30 years back on her wedding day. That was so special to me and it truly complemented the whole look and style. I had two bridesmaids: my best friend since preschool and my sister-in-law. I wanted to create something that made them look stunning and not like accessories or part of the décor. 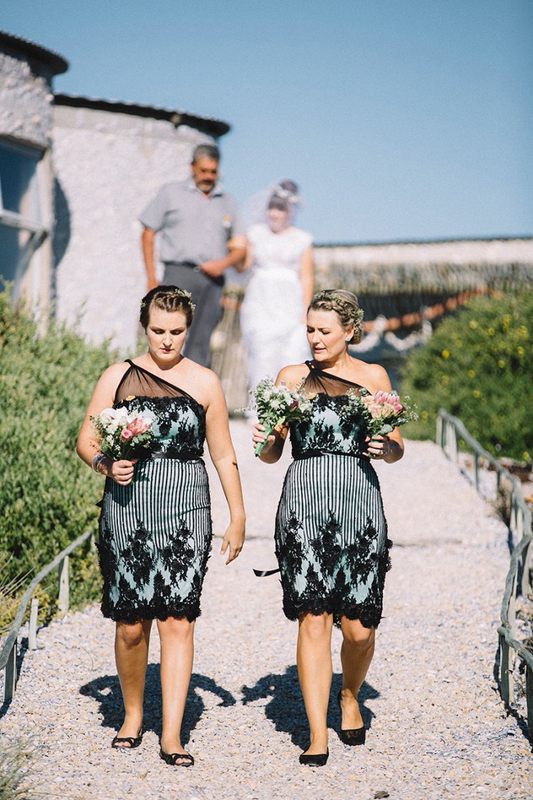 Bridesmaids reflect the bride’s taste in a huge way and it’s important to make them look their best. 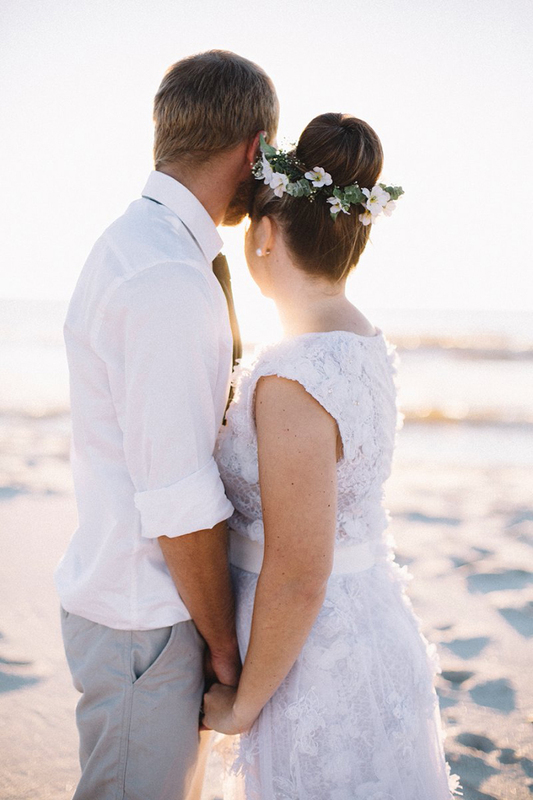 It had to be comfy for the beach as well but I wanted to make their dresses exquisite and unique. I used a mint base paired with amazing black lace with a Chantilly border. Their body types had a lot of similarities so I chose a sweetheart bust line with a pencil style bottom part. Short to accommodate the beach. I would say the style was romantic and playful. 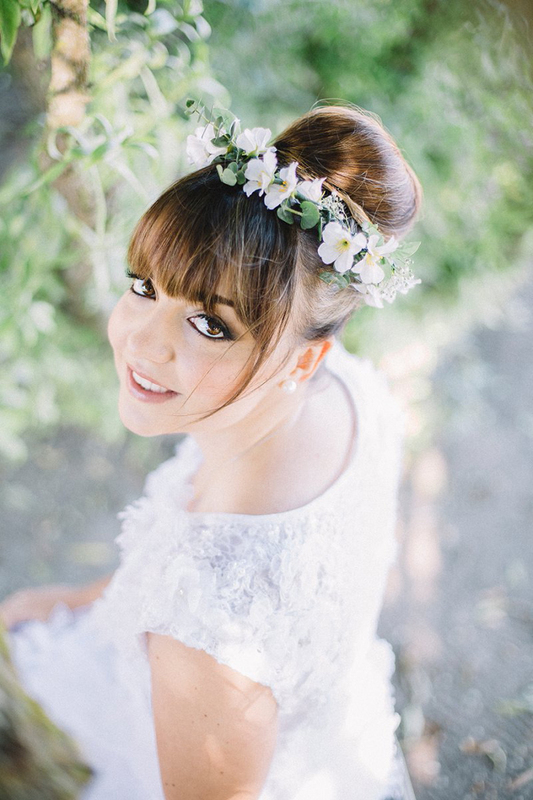 They had plaited hair with touches of baby’s breath. We were all barefoot! 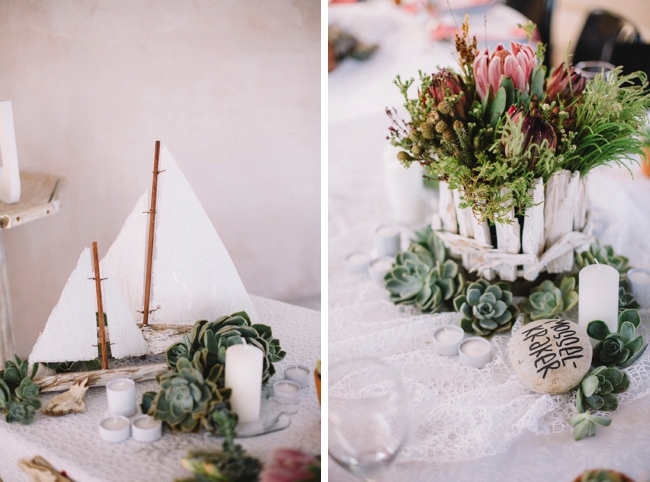 I always knew I wanted king proteas on my wedding day. They have been my favourite flower since I can remember, so nobody told me that Feb was not their season at all. So we had a lot of succulents and had to make a plan. I must admit, I kind of left the flowers to the last minute. So my MOH was on damage control and we decided to go to the famous flower market in Adderley Street the Thursday before the wedding. Before we went we saw the most beautiful protea and fynbos bouquets at Spar, believe it or not. So I took ten! At the flower market, which is amazing BTW, I found a lot of extra proteas, along with amazing eucalyptus and paired them with white lilies. The lilies were closed at the time and we prayed for them to open in time for the wedding day and also at the same time not die before then. My car was loaded to the roof with wedding flowers and my poor MOH was sneezing the whole three hour drive, but the flowers looked amazing and really tied everything together. My mom, gran and gran’s sister jumped in the wedding morning and did all the flower arrangements like pros! There were so many! But the best part was seeing how happy everyone was and how much they enjoyed our special day. 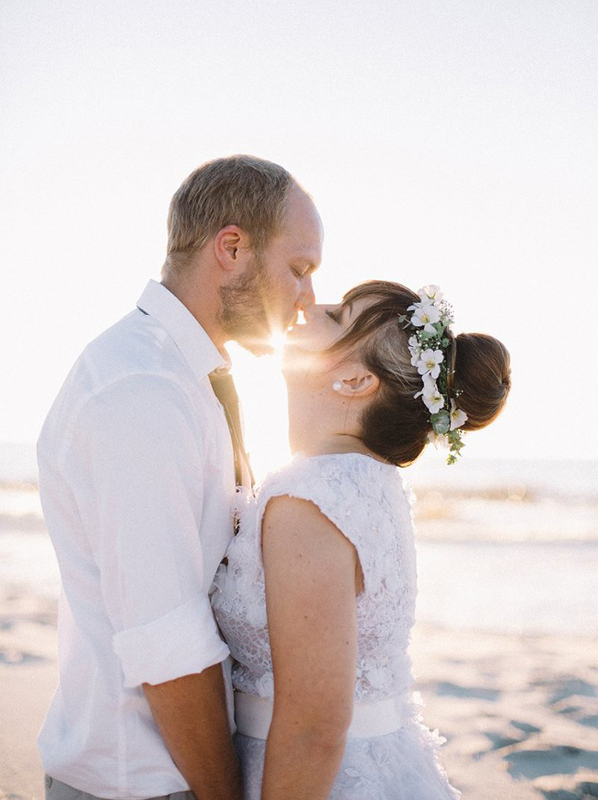 Most of our guests traveled from Gauteng and the Free State and some from abroad and we really wanted to make everyone feel special and loved and I think they really did! 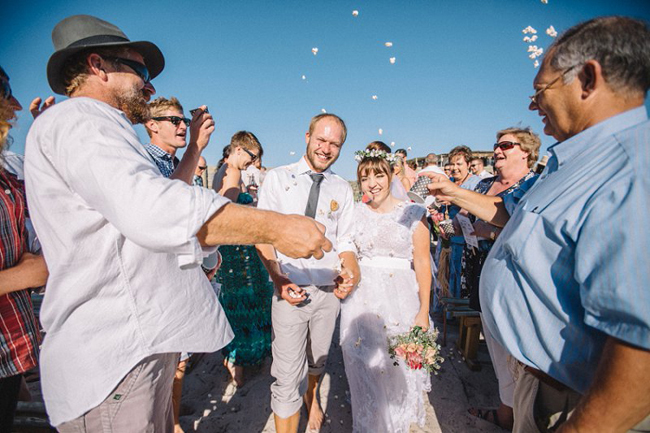 Another highlight was being able to be walked down the aisle barefoot on the beach by my dad. And a moment I will never forget is that we’d promised each other to party till the sun came up and we did! A handful of friends along with my parents stayed and danced till the early morning hours and that was truly so special to me! My dad who doesn’t even dance, could not stay off the dance floor and seeing how much fun everyone had really made me feel like we had accomplished one of our great dreams for our wedding day! 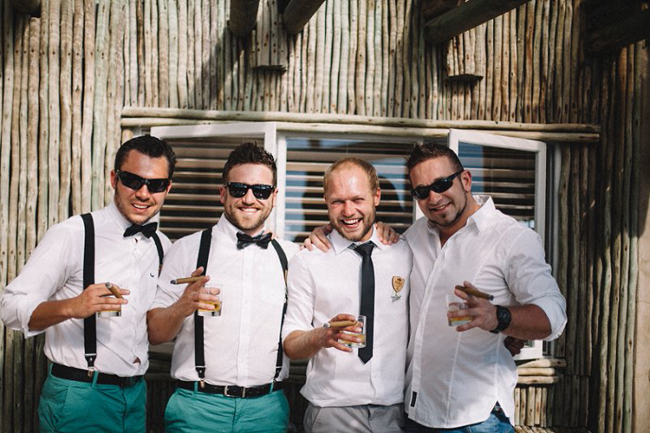 Biltong and beer after the ceremony. 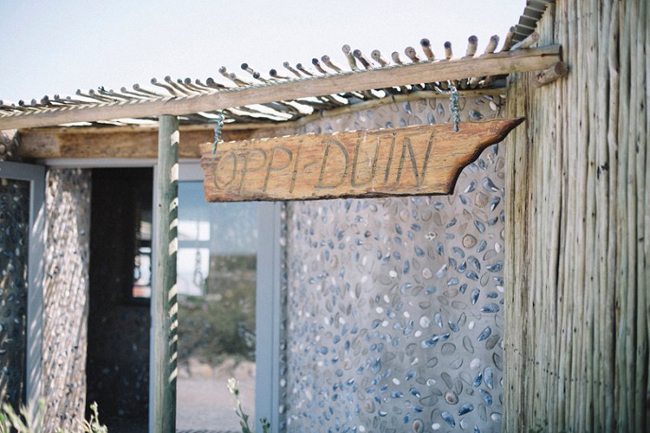 We had traditional Weskus style snoek and patats as the main dish. 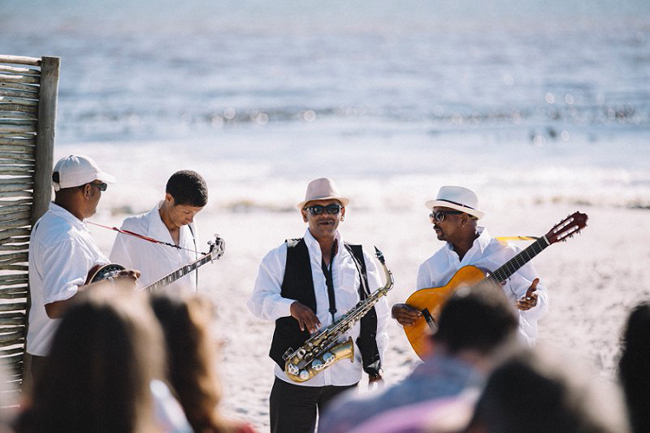 We also had a real “kaapse klopse” band (from Simonstown) who played the wedding march and entertained the people on the beach before and after the ceremony. Choosing a venue who did the catering and a big thing was NOT having a cut off time (that is actually pretty hard to find). Spending the extra on a very good photographer is sooo worth it and it was very important to me to do so. 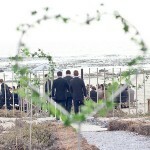 Choosing to get married in Feb was also a good decision because of the weather and the fact that it was on the beach. I guess trusting my mother with so many tasks and being blessed in having so many creative people who helped with everything. DIY does amazing things to a budget and goes so much further. And of course having more than a year to plan really helped a lot. No rush and less stress. 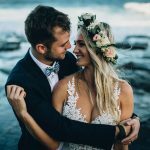 Spend the extra on a good photographer! That is the only area where you can not skimp! Make sure your day is all about what you and your person love and enjoy and want to create, and no one else! If you are on a tight budget, try and do as many things possible yourself or include friends and family. Have fun, enjoy planning and DON’T stress because stress helps no one! 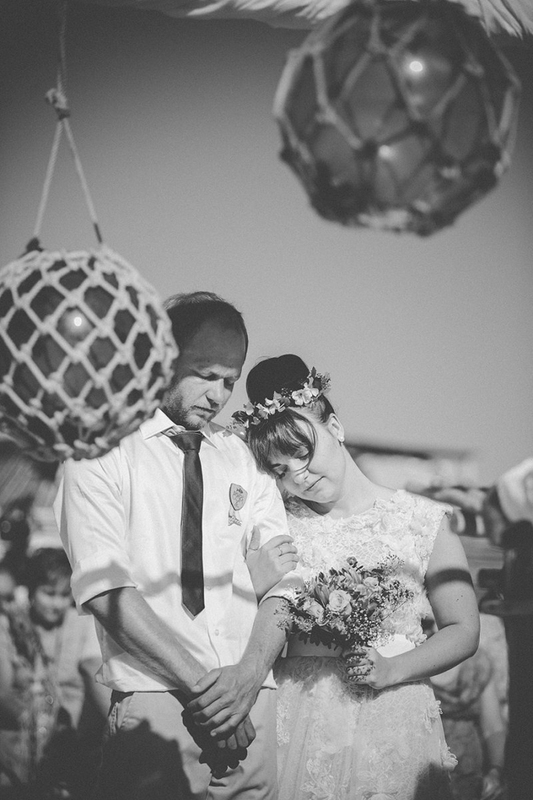 You can see more from this wedding on Ronel Kruger’s blog.